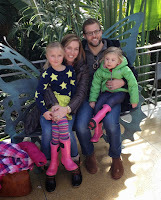 We have house guests this week and I was a bad blogger and didn't prepare anything (in terms of posting) in advance. But, that doesn't mean I've forgotten about you all - in fact, I can't stop thinking about you - and how much I'm looking forward to getting back into the swing of the school schedule and posting more regularly. 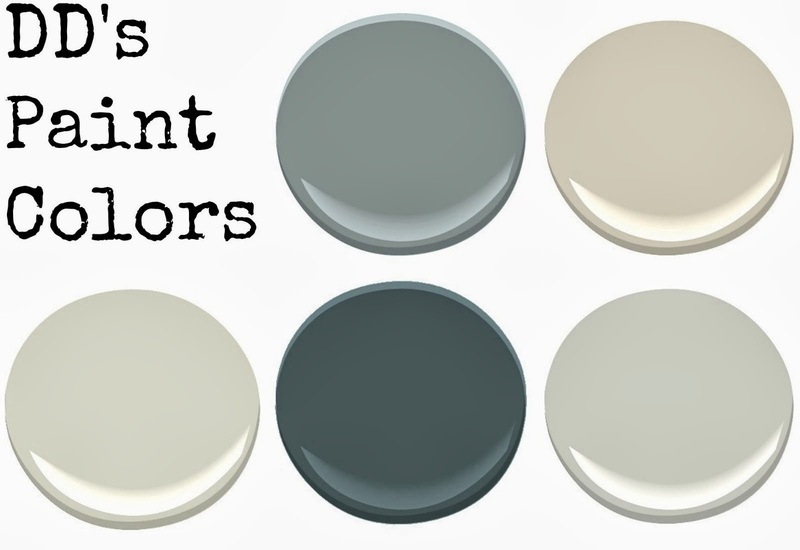 So, I wanted to pop in really quickly and share my newest and latest design crush. Please allow me to introduce you to Brian Patrick Flynn from Flynnside Out Productions. Ok, obviously, I am in the middle of our deck remodel so there is a reason that this image stopped me in my tracks. But, it isn't a fleeting attraction because once I started exploring his website, I couldn't stop. I love so much about his work. 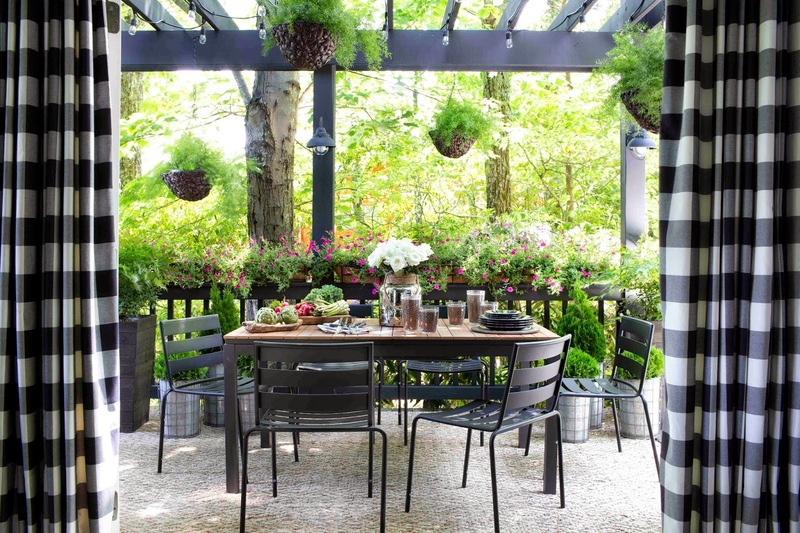 From this image alone (second floor deck): the curtains, the hanging baskets, the rail planters, the potted greenery, the lights…need I go on?!?!? The lower level deck of the same mountain house project is also stunning and completely approachable. Like someone you know could actually have designed it themselves, and actually lives there, and, heaven forbid, actually uses it. 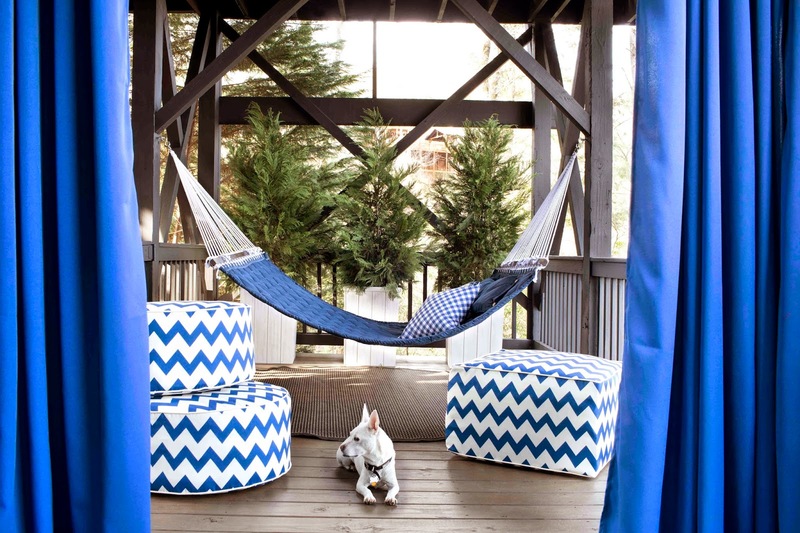 Quilted hammock, chevron poufs, more potted greenery, and the dog - I mean, really, it's almost too much. In a good way, of course. Now, if outside spaces aren't your thing, never fear because he has plenty of interior spaces to fall in love with as well. Like this not fussy, formal dining room. Our new home in Charlotte has a formal dining room, which of course, we have used 4 times in the last year. 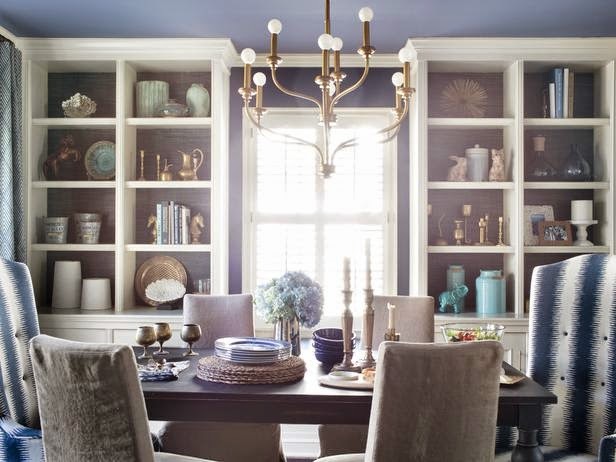 In our last home in Chicago, we transitioned away from the formal space and utilized it as our everyday dining space…this image has me wondering what I can do in our current formal dining room to get more use out of it. Loving those built-ins with the pops of brass against the dark backdrop. And don't even get me started on the captains chairs - jealous. Anywho, from his blog to his portfolio there is just so much to take in and get inspired from. Doesn't hurt that his writing style has me giggling like a school girl, either.